British pianist, Guy Murgatroyd, enjoys a modest reputation as one of a leading generation of pianists pliable to many musical roles. Having worked with a diverse selection of performing musicians, including Leslie Howard, Elly Ameling and Andrew Lloyd Webber, along with contemporary composers including Rolf Hind, Edward Rushton and Nikolai Kapustin, Guy is no stranger to most corners of the repertoire. Guy enrolled at Birmingham Conservatoire in 2012 on a scholarship, where his principal teachers during this time were Victor Sangiorgio and Pascal Nemirowski. He recently completed the Postgraduate course under Michael Dussek at the Royal Academy of Music in London. Guy is also the director and founder of the London Art Song Collective which will be launching later this year to further the performance of 20th century art song. The collective passionately believes that this repertoire is undervalued and untapped due to unimaginative mainstream programming and opposes a commercial reluctance to explore newer music. The collective features over 50 singers who are hand-chosen for various projects which span more than 450 composers and 25 languages. Bronwen made her operatic title role debut as ‘Carmen’ in London with Secret Opera and also premièred as ‘Madre Germont’ in the company’s all female production of Verdi’s La traviata – “The Trousered Traviata” - with performances in London and on tour in the South East of England, including at the Brighton Fringe. Recent opera roles include ‘Orlofsky’ in J.Strauss’ Die Fledermaus (Opera Integra), ‘Lola’ in Cavalleria Rusticana‘ (Opera Passione), ‘Suzuki’ in Madama Butterfly (Hellenic Opera Co, Greece) and ‘Amore’ & ‘Valetto’ in L'incoronazione di Poppea (Skull of Yorick Productions). In 2018, she is delighted to join That! Ensemble, exploring dance, movement and the embodied voice with improvisation and creating new works with composers. Bronwen is also a regular recitalist and performs for private and corporate events across the UK. Michelle Buckley hails from Fredericksburg, Virginia but has called London home for over a decade. Working as a professional dancer she has had the opportunity to perform both in the UK and abroad. Since 2007 Michelle has worked with Julia Gleich of Gleich Dances and the Norte Maar arts organization performing in New York and London in leading roles for such works as Speak Easy Secrets, The Brodmann Areas and most recently Martha: The Searchers. In 2014, she began dancing for Symeon Kyriakopoulos and his company the Crossword Ballet, which fuses martial arts with classical ballet. Holding film credits, costume commissions, and previously modelling in London Fashion Week, Michelle has also had the opportunity to sing in productions under the direction of Peter Knapp and his orchestra. This past Summer she toured to Moscow, Singapore and Sadler’s Wells Theatre in Voices of the Amazon, the latest production from Sisters Grimm with choreography by Helen Pickett and narration provided by Jeremy Irons. A Lyric Tenor with a passion for both performing and teaching, Alex has performed many notable concerts including the premiere of The Armed Man by Karl Jenkins, The Nelson 200 Celebration, The Classic fm 10 year Anniversary Concert and as a soloist at the BBC Proms. He sings regularly as an Extra Chorister at the ROH and has worked for Opera de Baugé since 2004, most recently singing the role of 'Arturo' in Lucia di Lammermoor. He is a regular Lay Clerk to Church of the Annunciation Marble Arch and works as an oratorio soloist and recitalist across the UK. Alex has also performed in an ensemble for The Duke of Kent at St James Palace and as "Gomazt" in Mozart's Zaide at St John's Smith Square. He graduated from Trinity College of Music and was the undergraduate vocal prize winner and Paul Simms Opera prize winner 2007. Alex currently studies opera with Laura Sarti. Critically acclaimed for her “impressive and engaging stage presence”, “genuinely heartbreaking” acting and a voice which has been described as “brilliant” and “glorious sound”, British-American soprano Alexandra Cowell originally trained as a flautist and then completed an MA in Opera Performance from the Royal Welsh College of Music and Drama. Opera roles include: Mother, Sandman and Dew Fairy (Hansel and Gretel), and covered Bianca (La Rondine) and Poussette (Manon) for Opera San Jose in California; Fiordiligi (Così fan tutte) with several companies including Opera’r Ddraig at the Edinburgh Fringe Festival; Mimì in Clyde Opera’s inaugural production of La Boheme and First Lady (The Magic Flute) with St John’s Opera and flexed her dramatic chops in the lead role of Steph in Dress Rehearsal, a new play incorporating opera classics. She was recently a finalist in the Emmy Destinn Foundation Young Singer Competition, and has participated in masterclasses with the foundation. British Jugendlich-dramatischer soprano Erika Mädi Jones debuted to critical acclaim as Elisabeth/Tannhäuser at Longborough Festival Opera in 2016. A Britten Pears Young Artist, Erika performed in the 2016 Aldeburgh Festival as part of the Thomas Quasthoff Brahms song course. Erika is supported by Help Musicians UK, and is the recipient of the Goodall scholarship from the UK Wagner Society, Friends in New York of TCM London Award/ Edgar TP Comley Certificate of Excellence. She was highly commended in the finals of the 2015 UK Wagner Society singing competition and a 2015 Les Azuriales young artist. Erika was a chorister at Glyndebourne Festival Opera in 2015. Other operatic credits include Ellen Orford/Peter Grimes (Dartington International Music Festival) & Donna Anna/Don Giovanni (Moon-Little Theatre & Co-Opera Co.) Erika is a fluent German speaker and studies with Alison Wells. Born and raised in Zambia, baritone Themba Mvula discovered his passion for classical music while at secondary school in North Wales. He went on to study at Birmingham Conservatoire, where he was winner of the Gordon Clinton English Song Prize, and graduated with honours. In 2017 he starred as Vithobai in the world premiere of The Life to Come, an opera by Stephen Fry and Louis Mander. Other roles include Schaunard in La Bohème (The Black Cat Opera Company), Leporello in Don Giovanni (Berwick Festival Opera), Sid in Albert Herring, Marco in Gianni Schicchi, and Papageno in The Magic Flute. Themba has enjoyed performing a great deal of oratorio over recent years and has had the pleasure of singing Christus (St Matthew Passion) in Birmingham Symphony Hall. He is an experienced choral singer and sang with Ex Cathedra under Jeffrey Skidmore for a number of years. Themba is passionate about working with young people and community groups and has helped deliver a range of projects with Birmingham Opera Company, ENO, WNO and Ex Cathedra. He is also musical director of Lichfield Gospel Choir. Jasmine was originally a freelance painter studying at St. Martin's College of Art. However, after realising music was her true passion, she enrolled in Music and Performance studies at Middlesex University, from which she graduated with honours and then obtained her Masters degree in Music Performance from Trinity Laban Conservatoire of Music & Dance. She has performed at the Barbican, Elizabeth Hall, Blackheath Halls and Hyde Park as well as other, more intimate venues. Engagements abroad include Jezibaba in Rusalka and Madame de Croissy in Dialogues des Carmelite’ both for Hojotoho Opera, Amsterdam, and Kate Pinkerton in Madame Butterfly for opera Da Camera Oscura, Greece. UK opera credits: the title role of L’enfant in L’enfant et Les Sortilèges, Governess in The Queen of Spades (Opera Coast), Marquis/Doctor in The Trousered Traviata, Roßweisse in Die Walküre, Wellgunde in Das Rheingold (Secret Opera), Third Lady in The Magic Flute (Broadstone Music Series) and Zia Principessa in Suor Angelica with NLOP, Ormond Opera and Opera in the Meantime. Jasmine has also organised many recitals celebrating the Russian Art Song, including the series Forgotten Songs, performed to Cambridge University’s Russian Society. Deborah is a versatile musician whose repertoire ranges from opera to German lieder, French melodie to English/Scots songs and oratorio work. She has also performed across Europe including Italy, Germany and Austria. Opera roles include Orlofsky (Die Fledermaus) - Kensington Opera, Mother (Hansel & Gretel) - Opera in the Meantime and Giovanna (Rigoletto) - Opera de Baugé. Having moved to England in 2015, Brazilian baritone André Andrade is a former student of Trinity Laban Conservatoire of Music and Dance. He currently studies under the tutelage of Robert Dean. Roles performed include Nabucco (Brent Opera), Ottokar (Blackheath Halls’ Der Freischütz), Leporello (Hornton Chamber Orchestra’s Don Giovanni in concert), Surgeon (Stephen McNeff’s new opera Banished, especially composed for Trinity Laban's Summer Opera) and Mr. Gobineau (Clockwork Opera’s The Medium). He also sang in the chorus of OperaGlass Works’ recent production of The Rake’s Progress at Wilton’s Music Hall, understudied the role of Barnaba for Midsummer Opera’s La Gioconda and was bass chorus leader in Blackheath Halls’ Carmen. He was bass soloist in Mozart’s Requiem at St Mary’s Parish Church Battersea. 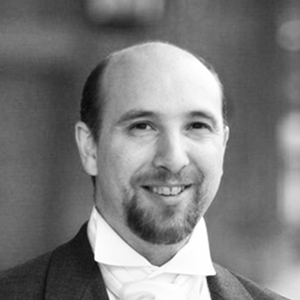 André has participated in a variety of concerts with companies such as Opera Foundry (“Tchaikovsky, Rossini and Mozart” and “German Opera”); OperaCoast (“The Old Tales of Kitezh Grad”); Opera Integra (“Love, Lust and Loss”) and Puzzlepiece Opera, as well as with Morley Opera School and Trinity Laban Opera Scenes, performing roles including Don Giovanni, Leporello, Figaro, Count Rodolfo, Eugene Onegin, Don Pizarro (Fidelio), Sachs (Die Meistersinger von Nürnberg), Devil (Cherevichki) and Mizgir (The Snow Maiden). Varia completed her studies with Eugene Asti and Caroline Palmer on the Master of Performance Accompaniment course in 2011 at Guildhall School of Music and Drama, where she was generously supported by the Leche Trust. In 2009 Varia graduated from Trinity College of Music with a Masters in Music where she was on a full scholarship with Douglas Finch and Eugene Asti and won the Trinity College of Music Mozart Concerto Competition. 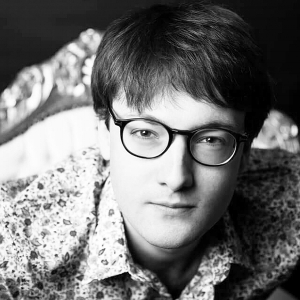 Varia was also a participant of Oxford Lieder Master Course and one of the eight chosen duos to participate in Oxford Lieder Young Artist Platform 2011. 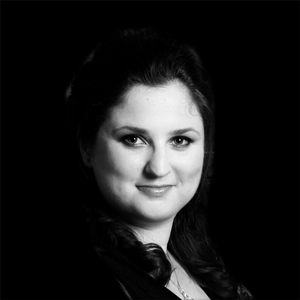 As a repetiteur, Varia has played for Puccini’s La Bohème with European Chamber Opera and was a deputy repetiteur for Puccini’s Madam Butterfly. As a regular repetiteur for the annual Opera de Baugé festival in France, Varia has been involved in: Gounod’s Romeo et Juliette, Captain Noah and his Floating Zoo by Horovitz and Flanders, Donizetti’s L’elisir d’amore and Lucia di Lammermoor, Leoncavallo’s Pagliacci and Rossini’s La Cenerentola. With St. Paul’s Opera, Clapham, Varia was a repetiteur on Mozart’s Don Giovanni and will return for Cosi fan tutte in 2018.